Connect side seams. Lay facing on top of main garment (right sides facing). 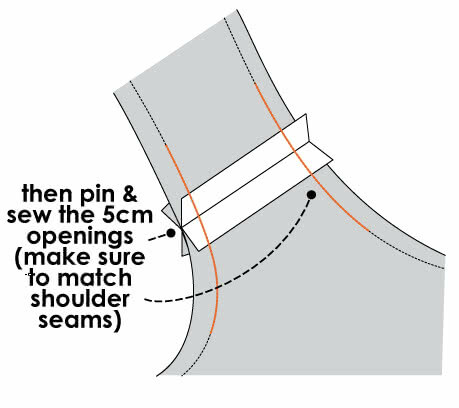 Sew centre back, armholes & necklines stopping 5cm from shoulder seams. Turn to face, press & understitch where possible. 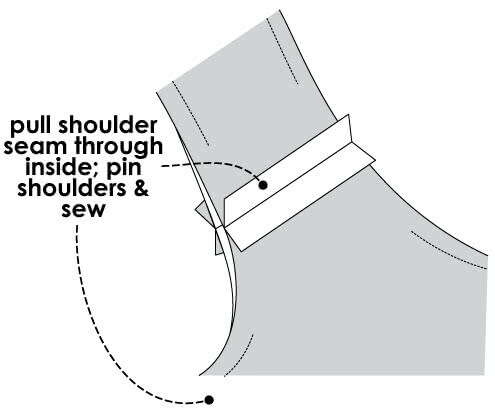 Pull shoulder seams through inside, pin & sew shoulder seams. Then pin & sew the 5cm openings, matching shoulder seams. Finally turn to face & press the garment neatly.